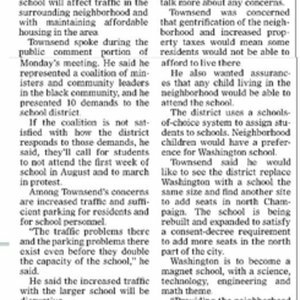 Article on citizen complaints about the way the City of Champaign is re-building the Booker T. Washington Elementary. 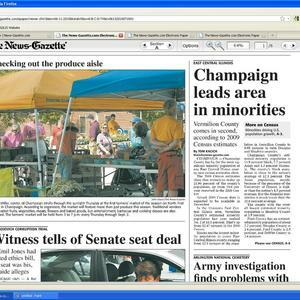 CHAMPAIGN – For six years, Seon Williams has been cutting hair at The Whip Hair Designs. 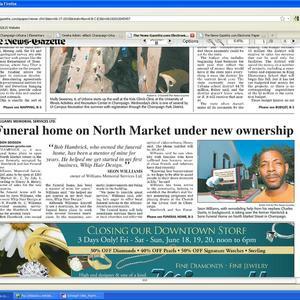 Two other stylists work with him at the barbershop on North Fourth Street. 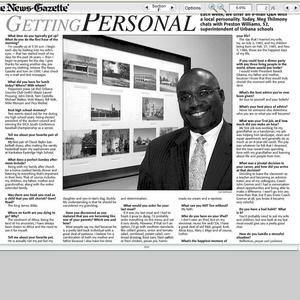 This is a personal interview with Preston Williams, the Superintendent of Urbana Schools. This interview is not necessarily relavent to his career, however it helps the reader to get to know him a little better. 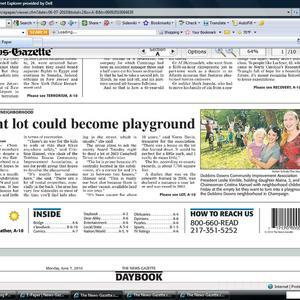 News Gazette articles dealing with proposal for a new park.